Photos from 47 textiles today. One week left! 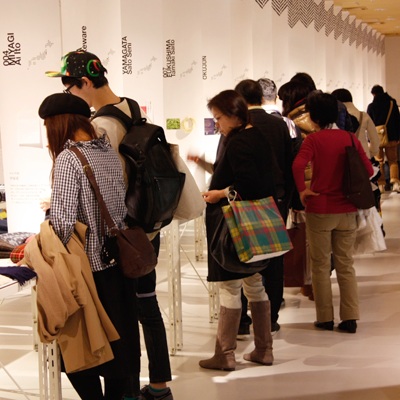 It’s your very last chance to catch this exhibition at Hikarie in Shibuya. 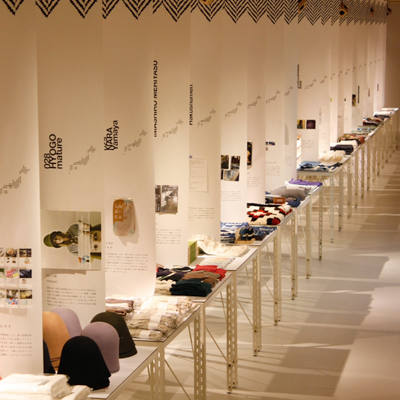 Presented by D&Department project, this exhibition showcases textiles from across 47 prefectures in Japan. 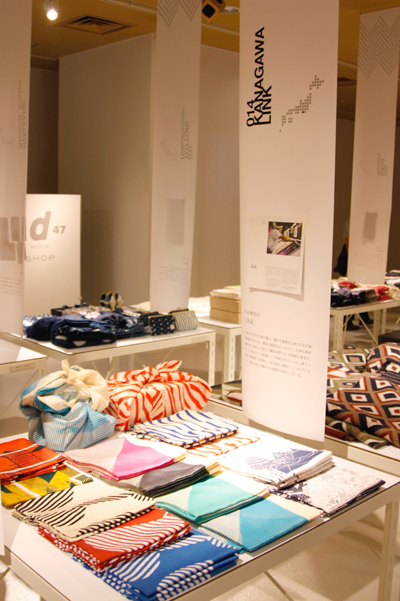 Link represents the prefecture of Kanagawa, where Link furoshiki are hand-printed. What a great idea, and it is a great privilege to be included! Link – at the Centre Pompidou. My latest design ‘Dots‘ is available in blue, black and rust. The design continues along the theme of folding and wrapping. Hours of paper folding and experimenting went on behind the scenes, which was a lot of fun … perhaps I’ll share some sketches at a later date. Also launched this winter season is ‘The Hida Express‘, another beautifully intricate design by Hannah Waldron (designer of the Maze furoshiki, Winter 2012) based on a train journey she took through the Japanese Alps. It’s February 2013 already, and this blog has been so neglected! There’s been a lot of activity amongst the Link collective since I last wrote. 2012 has been busy! We saw the introduction of Link’s popular leather carry strap (designed and handmade by director Kyoko), some beautiful work from a new collaborator in London, Hannah Waldron, who also presented with Kyoko at PechaKucha Night in Tokyo. A fresh collection of new furoshiki designs and colours, and some really great photos from photographer Martin Holtkamp. An interview with Link’s printers was published online by spoon-tamago in July, giving a rare look behind the scenes. 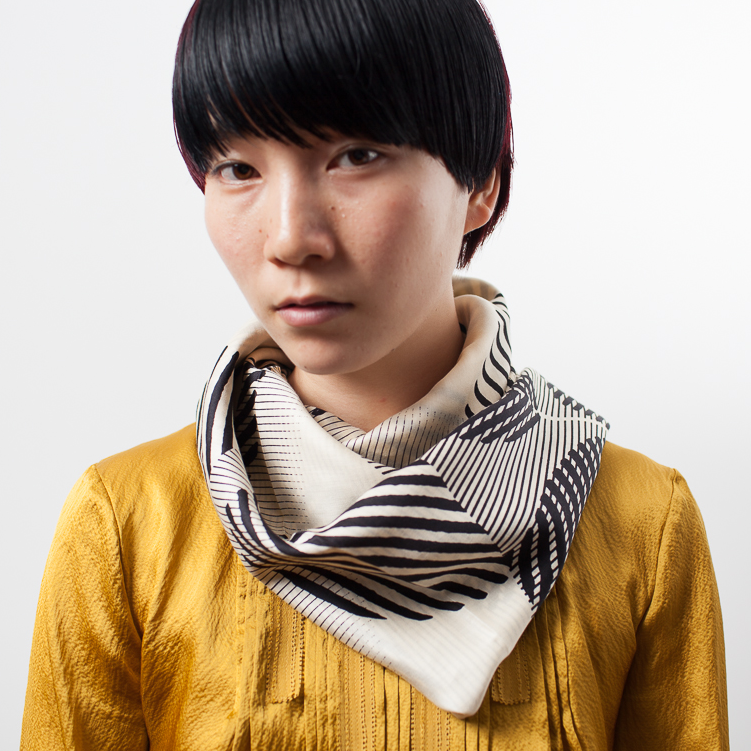 To end the year, Winter colours were released and Kyoko flew to New York where she ran a small Link furoshiki workshop. Wrap yourselves up in love. 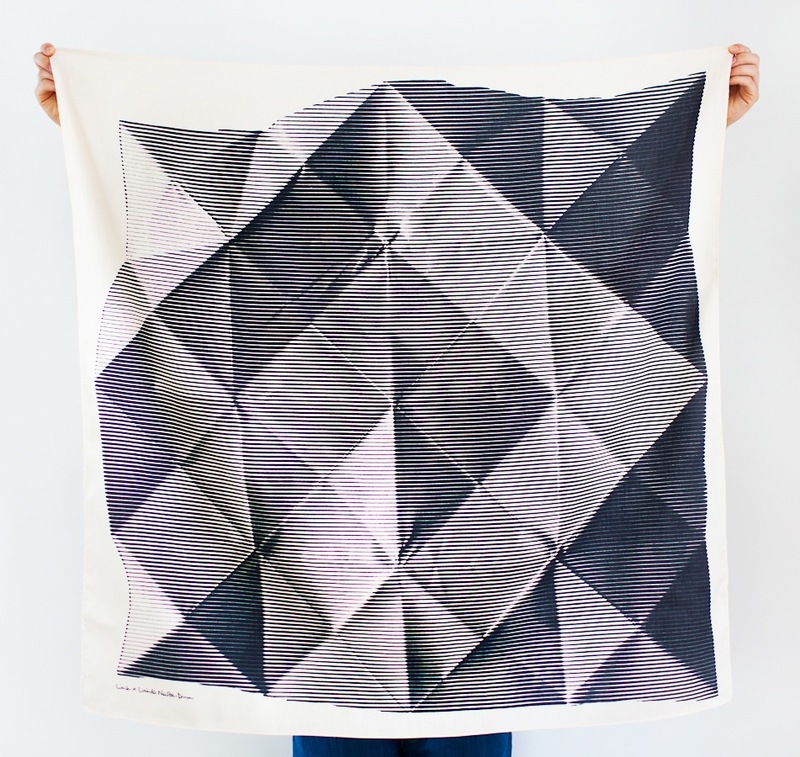 Link furoshiki are still for sale at Plastica, Etsy and Loopto. At last … LINK is officially announced! 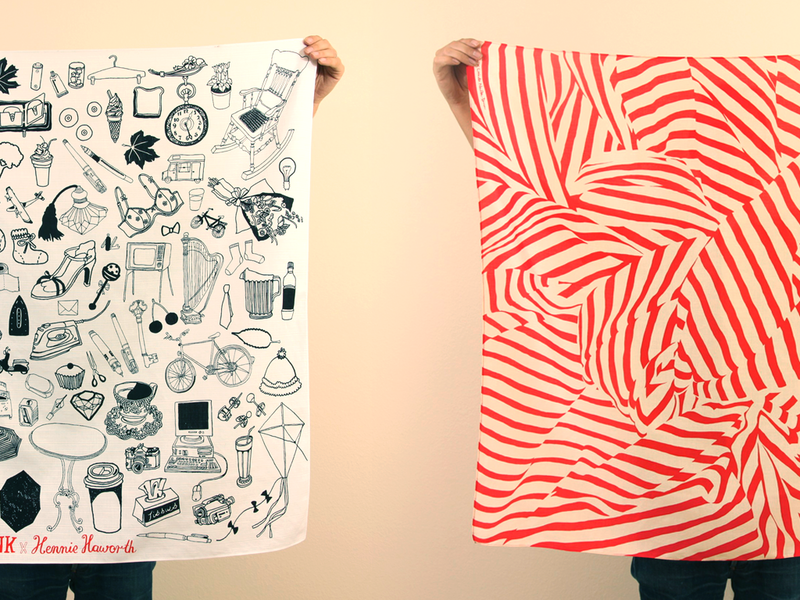 After lots of work, we are very excited to officially announce the launch of our limited edition furoshiki! 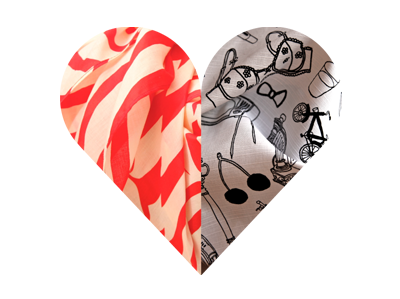 Two original designs, hand-printed in Japan on 100% cotton. Please take a look at our site: http://thelinkcollective.com/.